Created on Friday, January 4, 2013. I last modified it on Sunday, October 8, 2017. This is my favourite shortbread recipe. This is my favourite shortbread recipe. I keep misplacing it in meatspace so I’m sticking it online. I originally sourced it from a different website which I’ve since forgotten, having made minor adjustments to it to suit my needs. 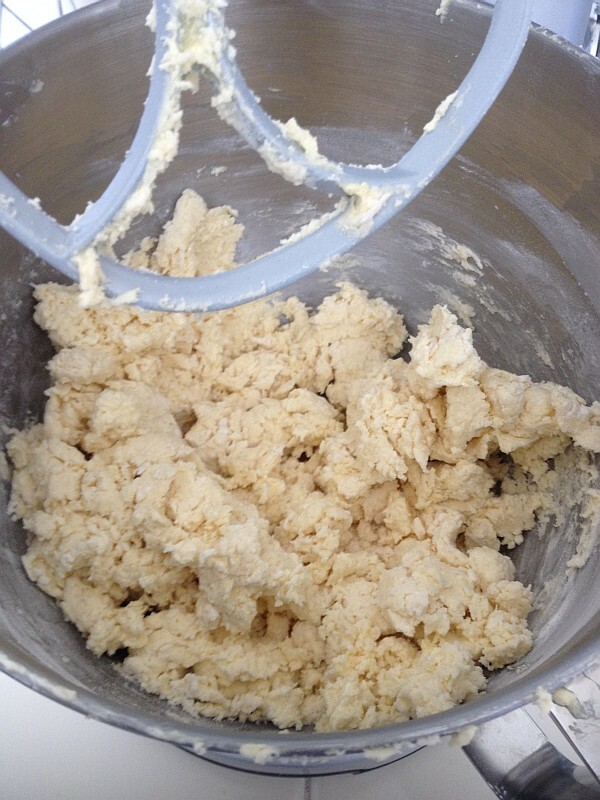 This dough, when not overmixed, is very short eating and isn’t too sweet. When rolled thick it is durable enough to use to make shortbread art. * Measure these volumes by plunging the cup into the dry ingredients and shaking the excess off until it is roughly level. Don’t pack the ingredients or level with a knife or anything, that’s not how I converted this recipe. Blend butter and caster sugar until sugar is dissolved. Add flour and mix as little as necessary to clear the dough. It should not be a smooth, well-mixed dough. It should be clumpy and rough. Some patches of unblended flour are okay too. Grab the dough and push it together. You can push it into a thick sheet if you want to cut shapes, or you can do what I do and roll it into a sausage about 2 fingers in diameter. Wrap in cling wrap and refrigerate for an hour or so until it is fairly stiff before cutting it into shapes. I simply cut the dough sausages into finger-thick slices and dust them with raw sugar for that rustic quality. I recommend stiffening the dough in the fridge again before baking. Cold dough will not spread out as much as warm dough during baking, which is important if you’re cutting shapes in any cookie dough. Bake until done at whatever temperature is appropriate for your needs. Lower temps (150 °C) give you a stronger cookie, higher temps (180 °C) gives you a cookie that is softer in the middle. I like 150 °C because the shortness of these cookies is improved by longer baking, but the appearance of these cookies suffers if they become too brown (in my opinion). I like to spray the cookie surface with oil and sprinkle raw sugar on top before baking. When baked at a low temperature, these cookies are very happy with being half-dipped in chocolate.